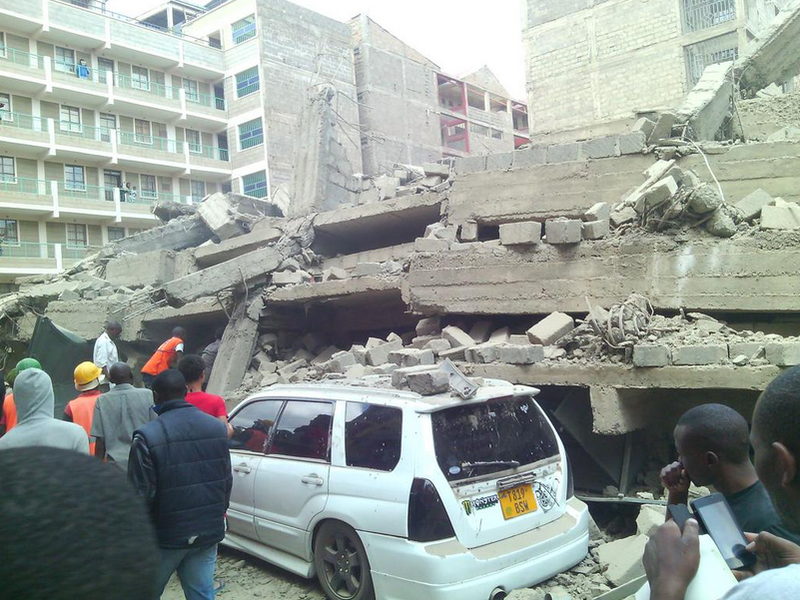 A number of people have been trapped inside a building that collapsed in Roysambu this Thursday morning. 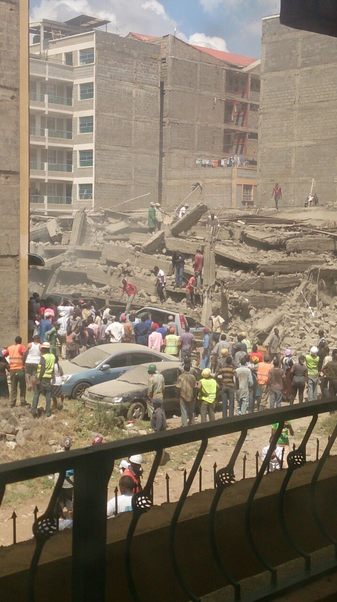 The building which was under construction fell at around 10:30 am. It is feared that most of the people trapped inside were construction workers who had reported to work this morning. 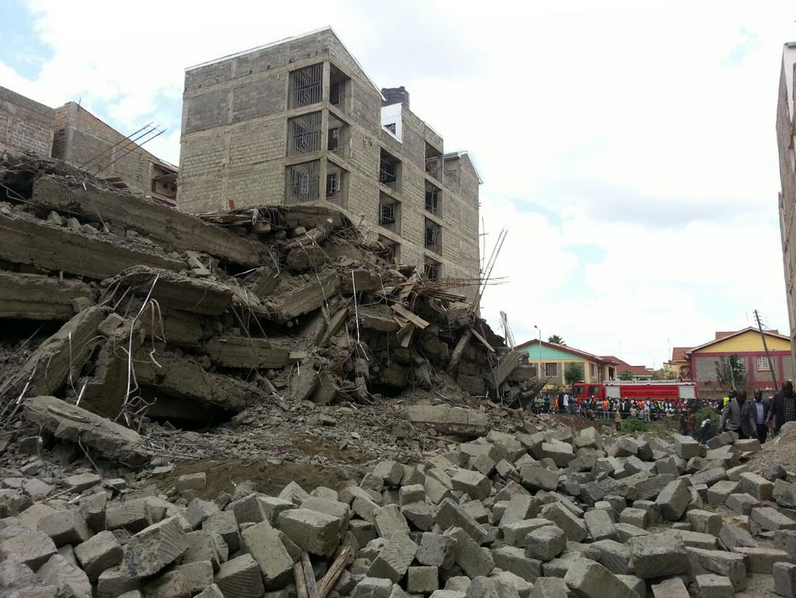 According to Kasarani OCPD Francis Sang, rescue operation is underway, speaking to nairobinews, Mr. Sang said “We already have the National Youth Service, the Red Cross and some other rescue teams. We are also looking for the owner of the building” Mr Sang said. Local residents say that the building was being construction in a haste and they suspected the worst could happen.